TOY TUGBOATS in stores now! 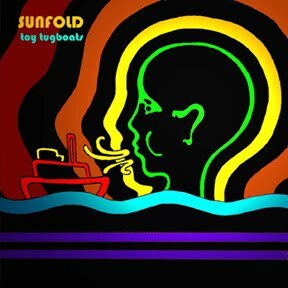 Sunfold's album Toy Tugboats is out now on North Carolina-based label Terpsikhore Music, which is operated by the members of Sunfold and their "sister band" Annuals (who are, for the most part, the same people.) The album is the culmination of years of musical discovery and experience, resulting in a diverse blend of jazz, folk, pop, and rock. Purchase Toy Tugboats on iTunes or via Terpsikhore here. Click below to watch the video for "Oregon." According to Florence, "'Oregon' was one of the last songs on Toy Tugboats to be written and recorded." He wrote it on the road (while on tour with Annuals) and he says that the lyrics came to him when he "realized that I had come up with the idea (for the song) while driving through Oregon, one of my favorite states. I tried to describe the mindset I was in while I was weaving this melody. Catch Sunfold on tour this summer!